Cross the threshold to enter this dynamic, informative, inspiring, and life-changing series that helps you learn in an enticing new way. Each Threshold book contains thirty lessons, which you can use on your own for daily study over the course of a month or which can be divided into six lessons per week, providing a group study of six weekly sessions. Through the spiritual disciplines of Scripture reading, study, reflection, conversation, and prayer, you will experience God's grace more abundantly and root your life more deeply in Christ. The risen Jesus said: “Listen! I am standing at the door, knocking; if you hear my voice and open the door, I will come in to you” (Rev 3:20). Click individual books for more details. Discover how to read the prophets of Israel and the teachings of Jesus through the lens of the cross, offering the world a way to renounce hostile retaliation, learning to love enemies and struggle for justice with creative nonviolence. Learn how the call to evangelization is at the heart of Scripture--in ancient Israel, the life of Jesus, and the apostolic church--and how disciples are called to be missionary witnesses of the gospel, living the good news with joy and hope for the sake of the world. Explore how God’s covenant love is expressed throughout the Bible with images of marital commitment, tenderness, love, and faithfulness. This study will encourage married couples to understand their relationship as a reflection of the spousal love of God for us. Discover God’s most fundamental attribute and the expression of God’s own heart in divine mercy. With a heart always for the poor and the lost, God demonstrates faithful love for the world and calls people to a joyful and abundant life. 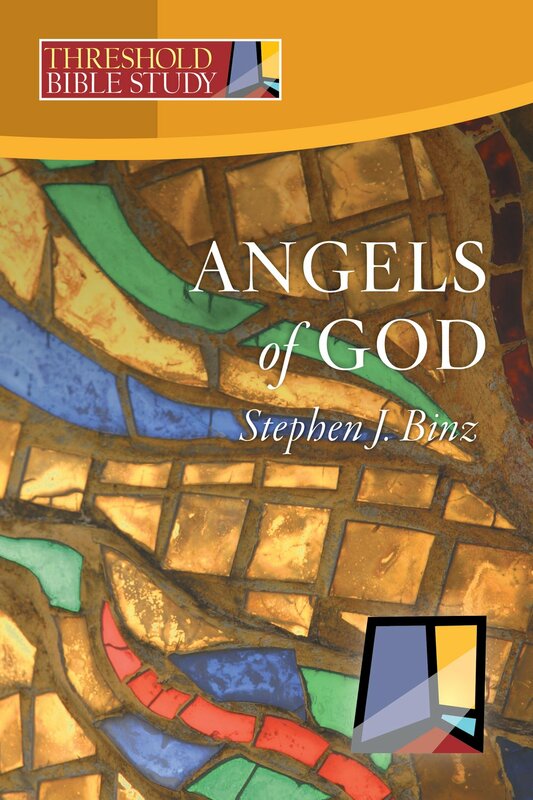 Enhance today’s fascination with angels with an overview of the Bible’s presentation of God’s angels as mediators, guardians, and guides. Understanding their role throughout biblical history will enhance your awareness of their presence with us today. Learn Jerusalem’s significance in the history, prophets, and psalms of Israel, and its importance as the city of Jesus’ final pilgrimage and the founding city of the church. This city of peace is the city of David, the city of Jesus, and the model for God’s new creation. Go on a virtual pilgrimage to the Holy Land to explore the primary sites commemorating the life of Jesus. Holy places and sacred Scripture help us encounter Jesus through the geography of his earthly life. Enkindle a watchful expectancy of the continual coming of Christ by reliving the anticipation of our ancestors. If we learn from the prophets, angels, shepherds, magi, Zechariah, Elizabeth, Mary, and Joseph, we will learn to wait in joyful hope. Experience Christ’s Passion through the eyes of Peter, Mary Magdalene, Pilate, Simon of Cyrene, the daughters of Jerusalem, and many others. Travel the way of the cross with this motley gathering of gospel characters. Plumb the depths of Scripture for the awful and glorious significance of the world’s most beloved symbol. Worn on our necks, carried in procession, and set on mountaintops, the cross is truly the universal sign of humanity’s greatest hope. 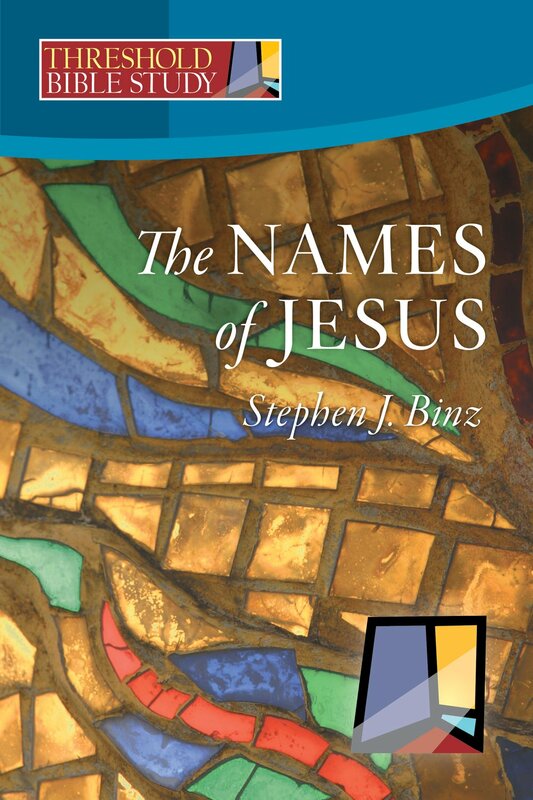 Know Jesus more completely through this study of his many names and titles in the New Testament. Bridegroom, King of kings, Bread of Life, Morning Star, Word, Lamb, Messiah, Alpha and Omega, and many more help us appreciate the richness of his personality. Explore the biblical roots of each of the mysteries of the rosary. Enhance your meditation on the joyful, luminous, sorrowful, and glorious mysteries by understanding the great events of our salvation in Christ. Enrich your understanding of Eucharist through exploring its biblical roots. As holy sacrifice, sacred meal, and the living presence of Christ, the Eucharist is the focal experience of the church’s life. Realize how the Resurrection offers us hope for the future and gives purpose for everything we do today. The Resurrection is God’s greatest victory and the fulfillment of humanity’s deepest longing. Understand the biblical roots of Judaism’s festivals. An appreciation of the Sabbath, Passover, Pentecost, Booths, Purim, Hanukkah, Yom Kippur, and others will help Christians comprehend modern Judaism and the faith of Jesus. Change your hearts of stone to hearts of flesh by turning to the pierced and sacred heart of Jesus, the place of divine love. The heart is the biblical symbol for the human will and passion, the personal level at which genuine conversion to Christ occurs. Discover how to rekindle the fire of the Holy Spirit and allow God’s Spirit to manifest divine graces and spiritual gifts more richly within you. The same Spirit who inspired the prophets and evangelists and who filled the life of Jesus now blows within and among all God’s people. Experience God’s creation as a great gift and a sacred trust to humanity. The biblical texts help us understand our privilege and responsibility in caring for the earth and humbly recognizing our place within it. Unlock the door to God’s word, learning to read the Bible not as an intellectual exercise, but a devoted and passionate search, an enthusiastic and joyful discovery. 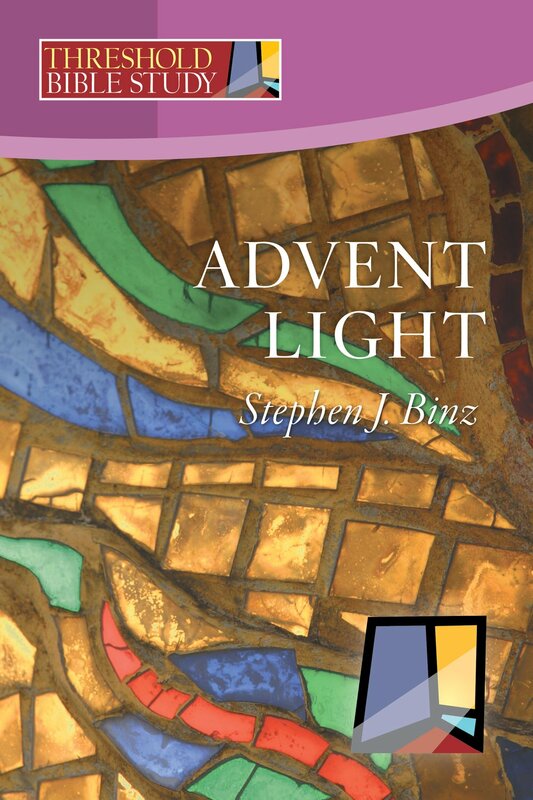 Written for individual or group study, reflection questions that help connect the transforming power of Scripture to the heart of our own spirituality. 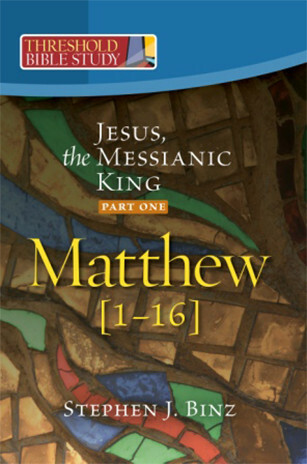 Matthew’s Gospel presents Jesus as Israel’s royal Messiah, inaugurating God’s kingdom in the world. This study will help you understand the scope of this gospel, the clear advice it offers for the church, and its personal implications for the lives of disciples today. The second half of Matthew’s Gospel moves from the Transfiguration to the Resurrection, announcing Jesus as the world’s true King. The life, death, and resurrection of Jesus bring the hopes of ancient Israel to their dramatic climax. Mark wrote his Gospel for the persecuted church in Rome, highlighting those parts of the tradition that will help the church follow him more faithfully. You will learn that following Jesus requires radical conversion and constant readiness for the coming of God’s kingdom. 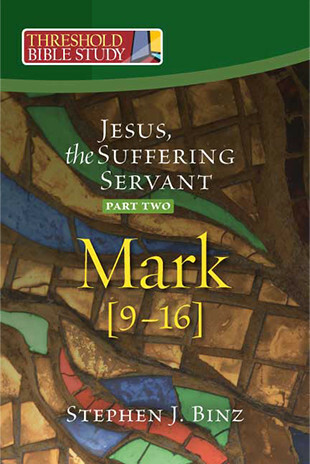 This second half of Mark’s Gospel explores the the successes and failures of Jesus’ original disciples. You will realize that the cross is the focus of both the sacrificial life of Jesus and discipleship in his way. 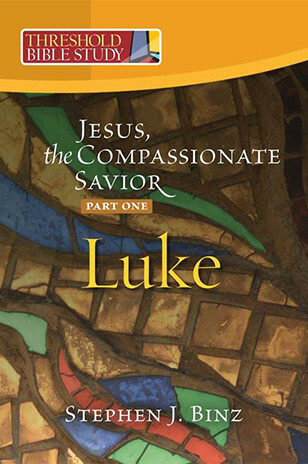 Luke wrote his Gospel for all Gentiles seeking to understand God’s universal plan of salvation in Jesus. Today, the gospel becomes truly good news for the lives of people in every nation, of every race, language, and culture. The second half of Luke’s Gospel narrates Jesus’ journey to Jerusalem and shows the inclusiveness of his love even for those who crucify him. 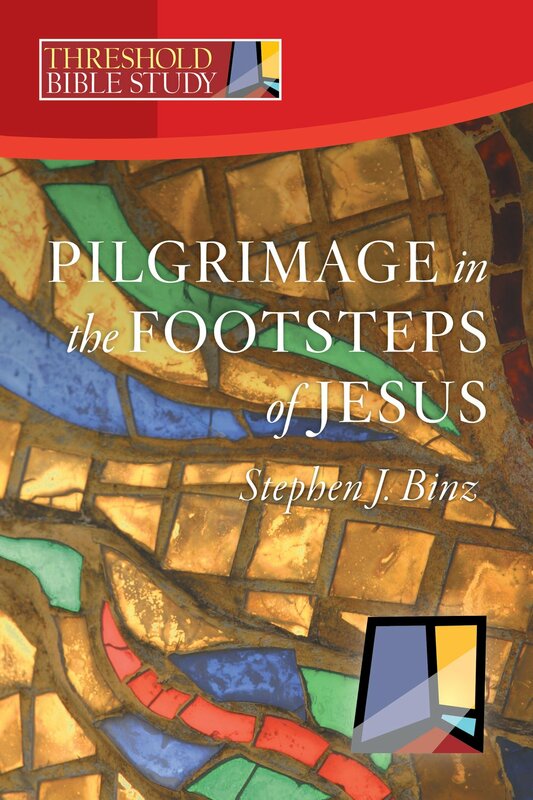 Readers learn how to be compassionate, evangelizing disciples without boundaries of race, gender, or class. John’s Gospel presents Jesus as the personal revelation of the unseen God, selecting words and deeds of Jesus to form seven great dramas to demonstrate the power and love of God working in him. The second part of John’s gospel follows Jesus during his final week in Jerusalem, shows how believing in Jesus and loving as he loves leads to the fullness of life. The most thrilling and adventurous book of the Bible, Acts shows us Christianity being lived for the first time. It narrates missionary journeys, trials and imprisonments, powerful sermons, sea voyages, and the clash of ancient cultures, inviting us to continue the adventure today. The second half of Acts narrates the missionary journeys of Paul and his companions. It begins in Jerusalem and ends in Rome, but the story is open-ended, for it is lived in the church and its members in every age. Demonstrating his skills as a missionary, pastor, and theologian, Paul explains how God's salvation is rooted in his Jewish heritage but is destined for people of all races and nations.